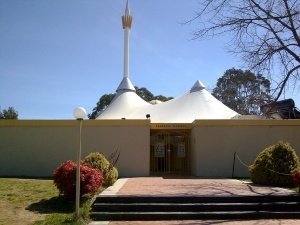 Canberra’s Muslims include Turkish, Pakistani, Indonesian, Palestinian, Saudi, Iraqi, Iranian, Syrian, Egyptian, Afghan and African [Tunisian] worshippers,” the director of the ACT’s Islamic Bluestar Intercultural Centre has said. “We need to extend that openness to others to include the non-Muslim community. 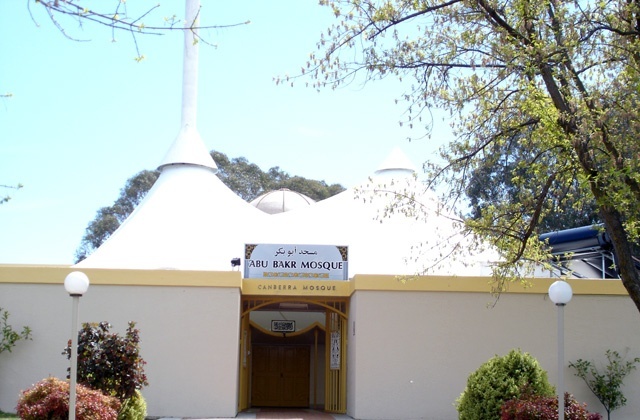 Canberra’s Muslims are not doing enough to explain their faith and culture to their neighbours the director of the ACT’s Islamic Bluestar Intercultural Centre has said. Fethullah Erdogan?, who has been working to build bridges between local Muslims and the broader ACT community for more than two years, said his heart sank when he first heard of the Black Friday terrorist attacks in Paris. Bluestar has teamed up with the Australian Centre for Christianity and Culture and the Catholic Archdiocese of Canberra and Goulburn to host a lecture by Professor John L. Esposito on December 3. Archbishop Christopher Prowse, the head of the archdiocese, and Zuleyha Keskin? will also speak. Mr Erdogan said while relations between local Christians and Muslims were good, Islamic community members could and should do more to present a positive image of their faith. “Last week we visited St Thomas More Catholic Church. It was on the day after the attacks,” he said. Archbishop Prowse said he felt sick to the stomach when he heard of the attacks. Archbishop Prowse, who said Thursday’s lecture was a practical example of thinking globally but acting locally, believes each religion is unique and that differences should be respected. Mr Erdogan also sees a food, a traditional Turkish dish called “Noah’s Pudding” as a metaphor for peace and unity. This is the pudding Noah was believed to have made after the Ark came to rest on Mt Ararat. When Muslims failed to engage with the broader community they created a knowledge vacuum about Islam and their own cultures. “We don’t want groups like Islamic State to hijack people’s perceptions of Islam,” he said. “Islam is not death and violence. In the words of Fethullah Gulen?, an Islamic scholar in the US, ‘a Muslim cannot be a terrorist and a terrorist cannot be a Muslim’. “Canberra’s Muslims include Turkish, Pakistani, Indonesian, Palestinian, Saudi, Iraqi, Iranian, Syrian, Egyptian, Afghan and African [Tunisian] worshippers,” he said. “We need to extend that openness to others to include the non-Muslim community. “There is always going to be a certain amount of fear and prejudice on both sides [among Christians and Muslims]. The way to counter that is with knowledge, communication and just meeting people. He said Thursday’s lecture was meant to show people are not automatically in conflict just because they hold different beliefs. “We can [all] live together, celebrate together and even worship together – but in our own ways.